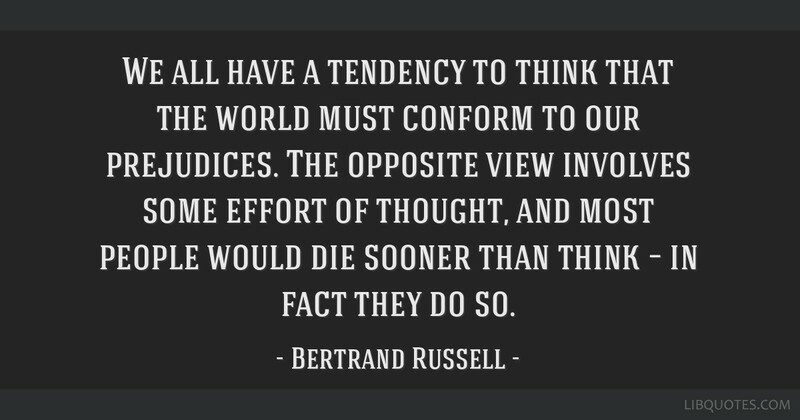 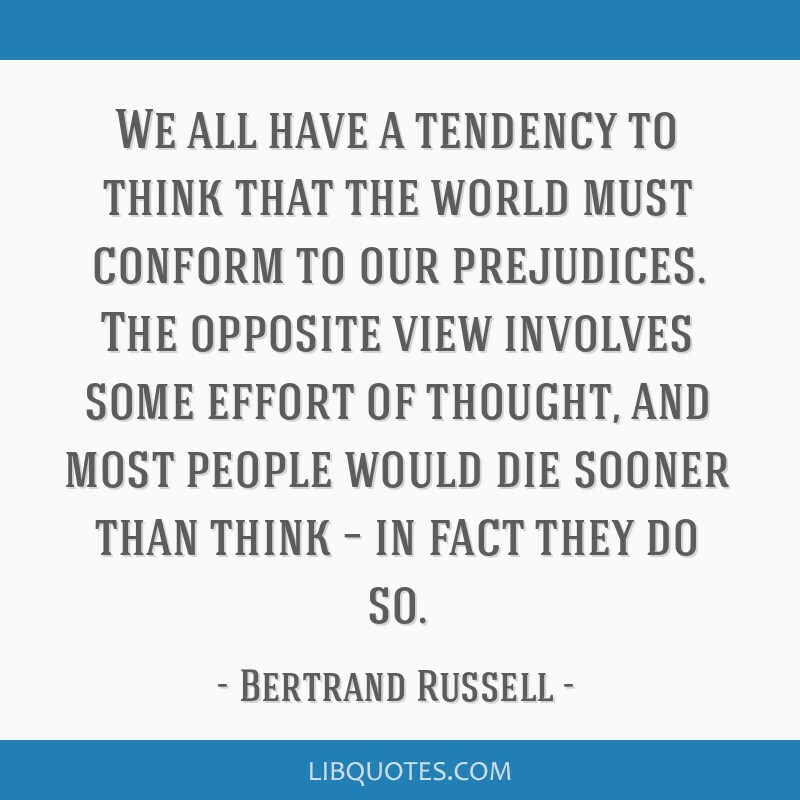 We all have a tendency to think that the world must conform to our prejudices. 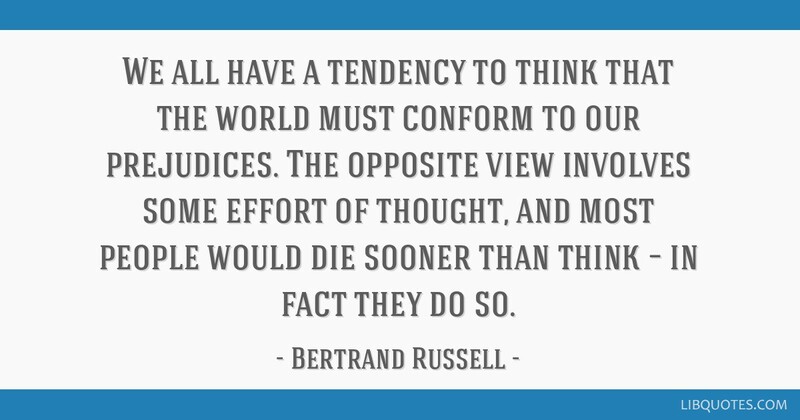 The opposite view involves some effort of thought, and most people would die sooner than think – in fact they do so. 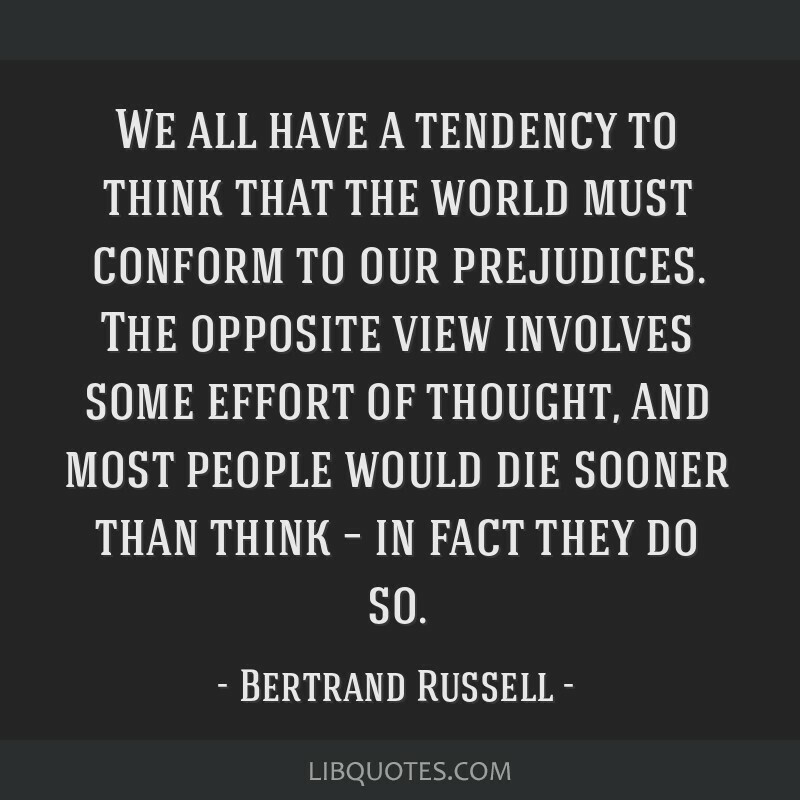 The ABC of Relativity (1925), p. 166 Variant: "Most people would rather die than think; many do."